On Thursday, November 29th, Lockerby’s senior student’s dressed in their semi-formal wear for their first dance of the year! Great food and music was provided. Student’s only had to bring their best dance moves to the auditorium. The laughs and smiles were never ending throughout the night. The dance was a hit! The delicious food was catered by Ms. Jorgensen and volunteer, Lockerby student’s. The menu included, a taco bar, fruit kabobs, variety of scrumptious desserts and much more! The food was one of the highlights of the night! As more students gathered into the auditorium more people started to dance! 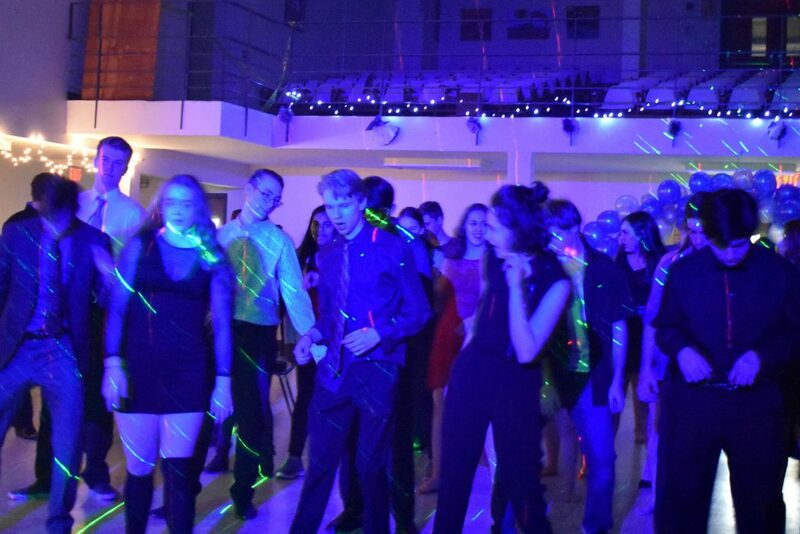 Everyone busted out their best dance moves and had a great time! When the D.J. played a classic song, for example, The Cha-Cha slide, almost everyone joined in. You could not resist moving to the beat… slide to the left, slide to the right… many other great songs played throughout the night that made everyone groove! Apart from the great food and music, the decorations were outstanding! The theme for the dance was Masquerade, with a blue, white and silver colour scheme. Elegant paper flowers and lights were displayed around the auditorium. The center pieces placed at each table looked stunning! Also, when you walked into the venue, you could not miss the large balloon arch, with sliver, blue and white balloons. Lockerby’s auditorium was nicely decorated! The great music, food and decorations made this Lockerby event one of the best this year. It was simply a night to remember!